Whether they’re heading away on a country jaunt or weekend trip to the city, the Joules Blooming Brilliant Weekend Toiletries Bag makes cultivating cleanliness easy! It contains everything a loved one needs to stay fresh and pampered while travelling and the six products are generously sized. 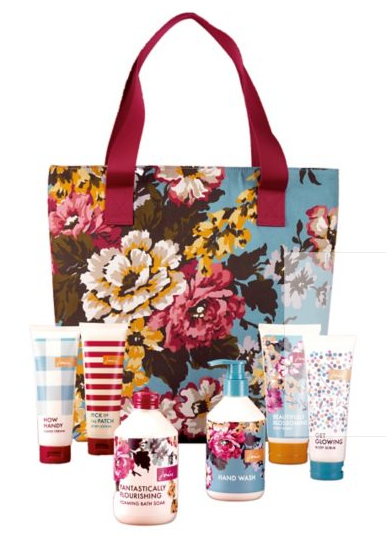 The gorgeous floral bag will become a wardrobe favourite; it fastens with a press-stud and can be used long after the toiletries have been used up.